Nueva Charter School in Arcata, CA, recently selected eWalk for its classroom observation needs. eWalk is the observation-and-teacher-assessment software that not only makes school staff evaluations easier to perform, but also empowers teachers with meaningful, actionable insights. Prior to using eWalk, the California charter school relied on one individual to perform all of its walkthroughs. Needing to observe about ten separate professionals, time became a concern. Fortunately, eWalk expedites the process in a number of ways while also improving the level of actionable insight the observer is able to provide to teachers and staff. 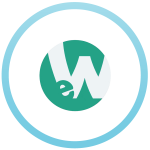 Want to find out exactly how eWalk makes classroom walkthroughs faster and more effective? Click below to learn more about eWalk.